This is the 5th new direct flight for the airline to the Puerto Vallarta-Riviera Nayarit region in the past two years, an enormous contribution towards the recovery of international airline seats. 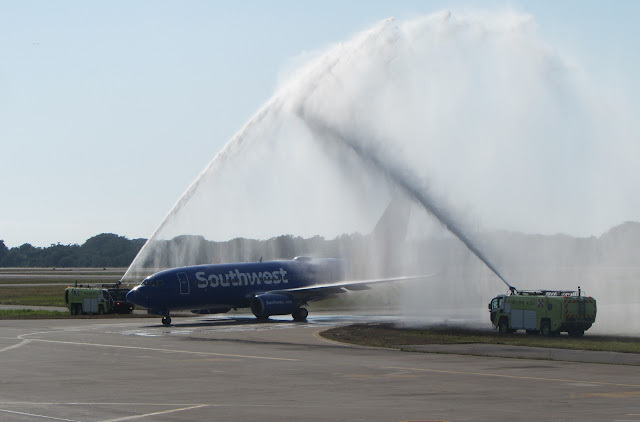 The new daily direct Southwest Airlines flight from Oakland, California, arrived on Sunday, February 12, 2017 at 4:15 p.m. to the “Lic. Gustavo Díaz Ordaz” International Airport in Puerto Vallarta, which also serves the Riviera Nayarit. The Riviera Nayarit Convention and Visitors Bureau (CVB) and the Puerto Vallarta Tourism Trust organized a warm welcome for the flight that included refreshing drinks, souvenirs and music by the children’s mariachi band. This is the fifth new flight that Southwest Airlines has scheduled to the region in the past two years: Santa Ana, Orange County, Houston, Denver and now Oakland. The latter is the first one for the airline from the San Francisco Bay area to Mexico. The 46-year old airline is based in Dallas, and reported the new flights to the Puerto Vallarta-Nayarit area have registered high occupancy levels since their inception, moving approximately 13 thousand travelers each month on the flights. The reasons are clear, and it’s because of the big demand for this area in the North American market and the low prices and excellent service offered by airline, in addition to all the extra amenities they offer their clients. The first flight from Oakland arrived with 113 passengers aboard a Boeing 737-700, with a maximum capacity for 143 passengers.